Nepal has been working to save the tiger population from facing extinction as a result, the number of tigers has increased in the last decade. According to the latest tiger census report released on Sunday, which was also National Conservation Day, 235 tigers were found to be living in the country. In 2009, 121 tigers were recorded to be in the country and now it has almost reached the double of that. Due to this, Nepal became the first country on track to meet the international goal of doubling the tiger population by 2022. Nepal Forest and Environment Minister Shakti Basnet said, “The current growth of tiger population is a landmark achievement for the country. With the current progress, we can easily fulfill our global commitment of doubling our tiger population in 2022”. During the 2010 Saint Petersburg Declaration on Tiger Conservation, Global Tiger Recovery Plan(TX2) was endorsed by 13 countries that had a rich population of tigers. Nepal was also one of the countries which has endorsed the TX2 plan. Accordingly Nepal has been working to double its tiger population up to 250 or more by 2022 from its base tiger population of 125 in 2010. However, the Chitwan National Park (CNP) which had the highest population of tigers in the country now has 93 adult tigers, a drop from 120 that was recorded in the last census of 2013. The tiger census began in month of November in 2017. The census was carried out by dividing the county’s tiger zone into three parts – Chitwan-Parsa Complex, Banke-Bardiya Complex, and Shukla-Laljhadi-Jogbudha Complex. The total count of tigers was made by adding up the number of tigers in each of the three parts, reports The Kathmandu Post. 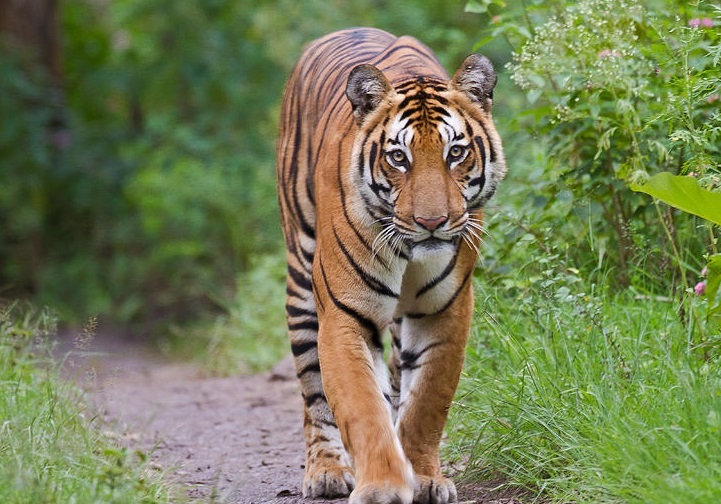 Apart from poaching and illegal trading of wild tigers, a number of factors like territorial fight among the big cats, migration of the wild tigers from one park to another and floods are the main causes of decline of tiger population.